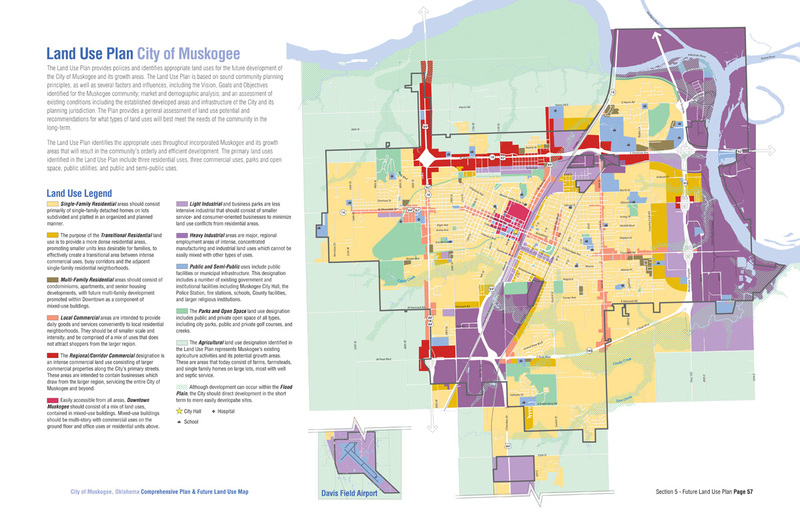 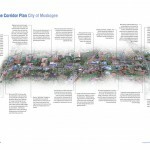 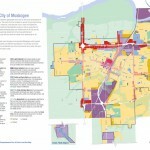 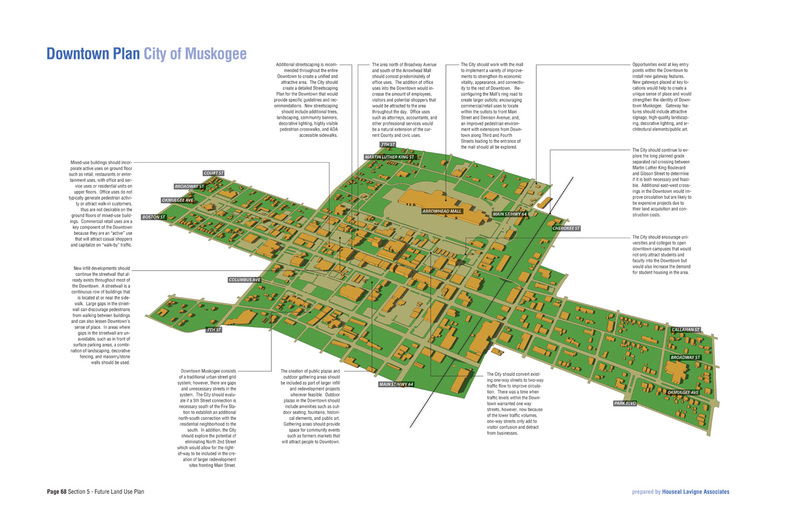 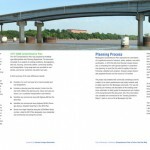 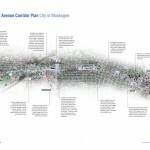 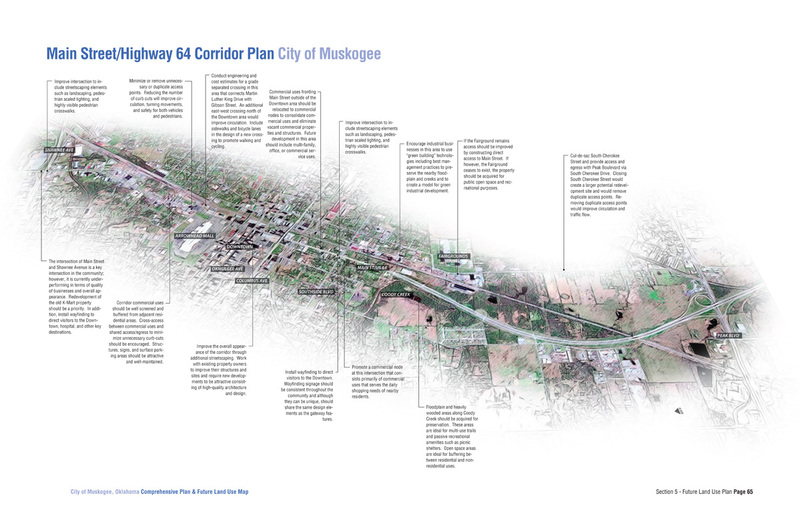 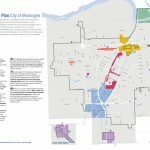 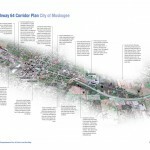 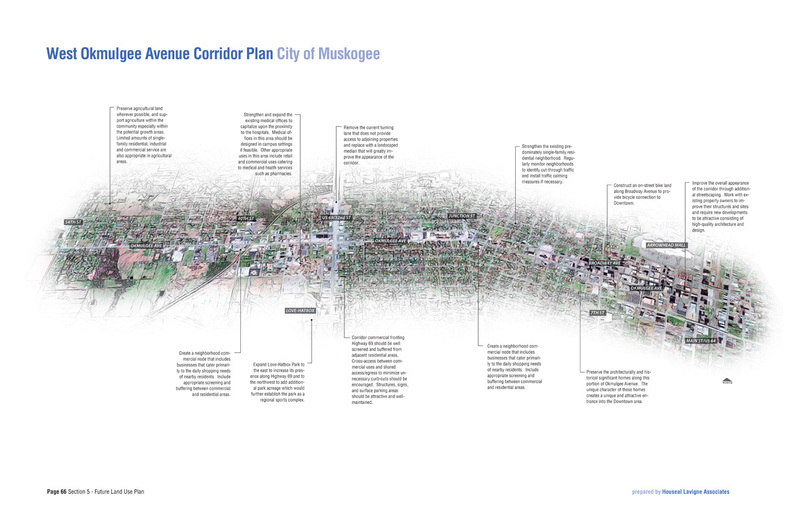 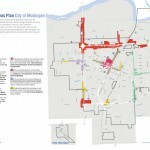 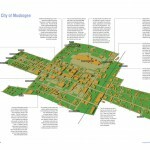 Houseal Lavigne Associates was retained by the City of Muskogee, Oklahoma to update the City’s Comprehensive Plan and Zoning Ordinance. 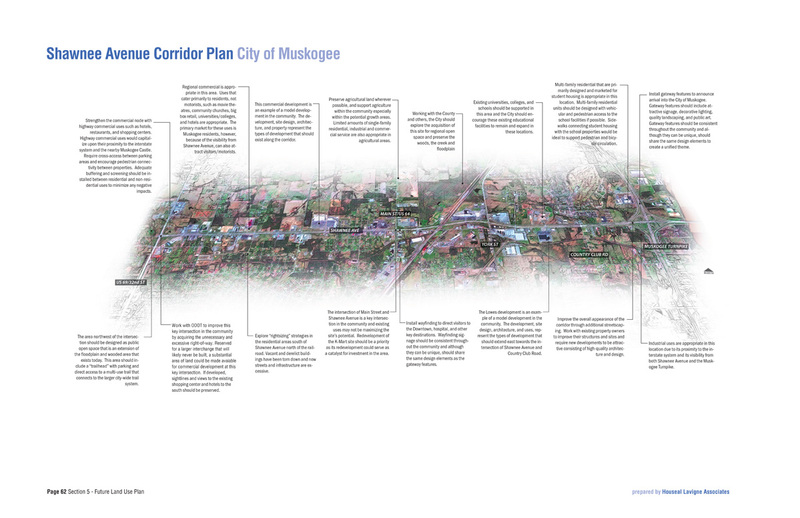 The City is home to one of the most inland ports in the country and includes several major employers, healthcare facilities and universities. 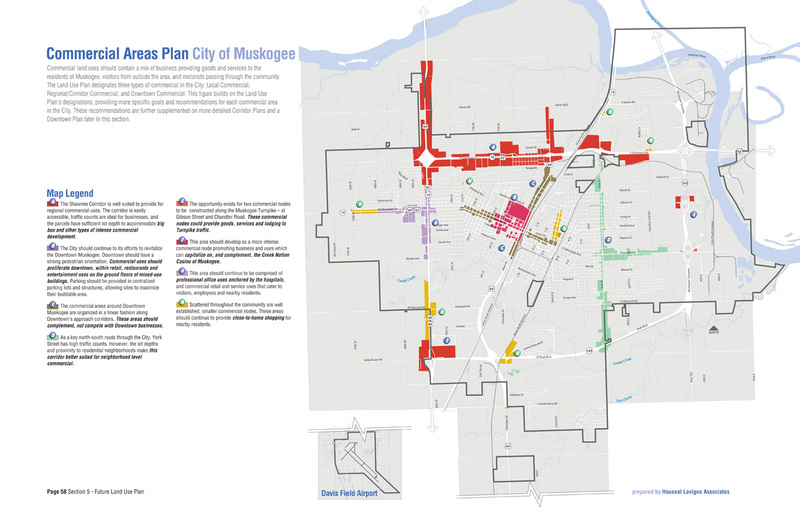 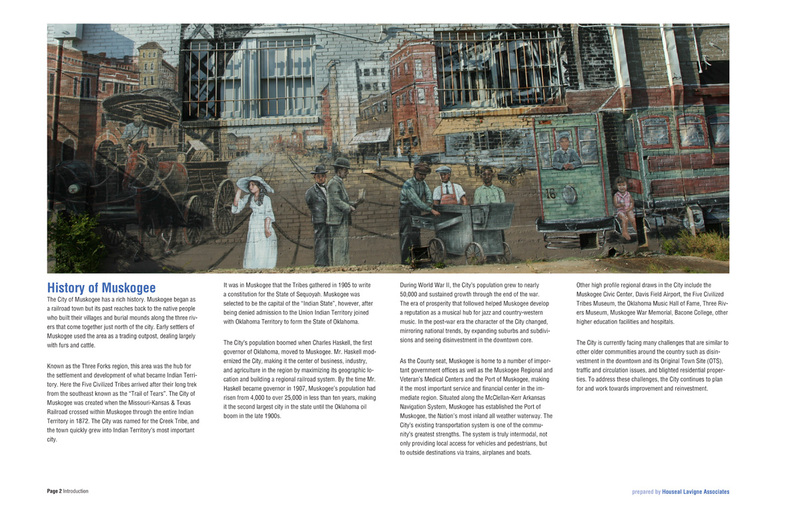 While the City has many assets it also has several challenges including an aging downtown and several commercial corridors and neighborhoods in need of improvement. 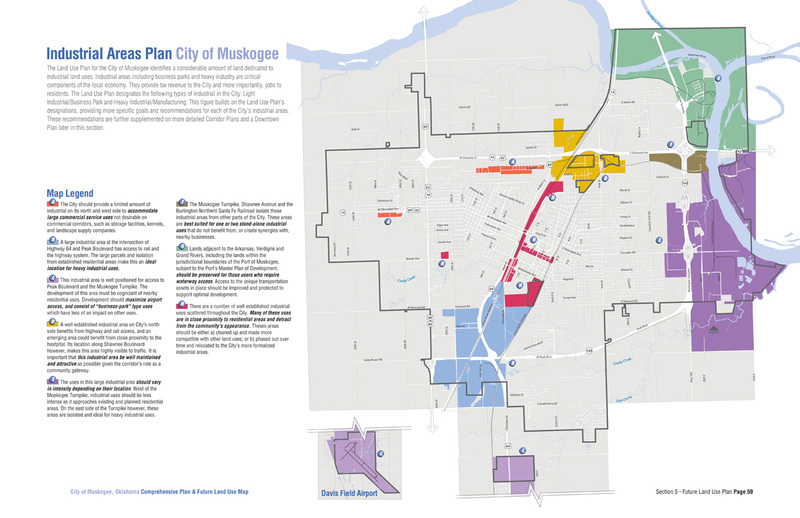 Issues related to growth and annexation and extension of city services are an important consideration of the updated Comprehensive Plan.